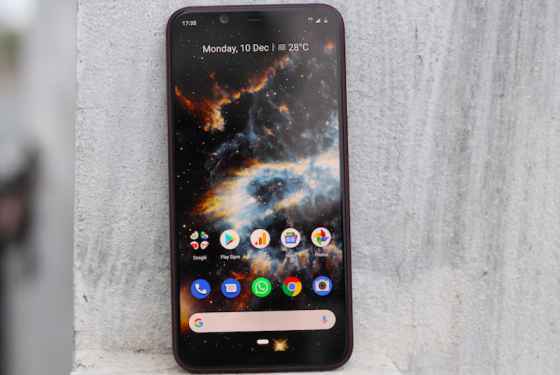 New Delhi (Tech Desk) HMD Global launched a new variant of Nokia 8.1 in India. This variant will be equipped with 6 GB RAM and 128 GB of storage. Earlier this phone was launched in India with 4 GB RAM and 64 GB storage variants. The company said that the sale of 6 GB RAM variants of Nokia 8.1 will start from next week. Apart from RAM and storage, all the other features are the same. There is also some launch offers with this phone. The phone's 6 GB RAM and 128 GB storage variant costs Rs 29,999. This will be done on e-commerce website Amadean India from 6th February. Apart from this, it will also be made available in Nokia's online store and in select offline retail outlets. It can be bought in blue/silver and iron/steel color variants. The pre-booking of this phone will begin on February 1 on Nokia's website. Let me tell you that the price of its 4 GB RAM variant is 26,999 rupees. Talk about launch offers, then Airtel users will be given 1 TB data. Plus Airtel Postpaid customers will be given NetFlix for three months and amazon prime subscription for 1 year with 120 GB data. will get. Amazon will be given additional discounts of Rs 2,500 along with this smartphone between February 6 and 17 on Amazon. Apart from this, an additional exchange offer of Rs 1,500 will be given between 18th and 28th February. Nokia 8.1 features a 6.18 inch Full HD Plus display, which has a resolution of 1080x2244 pixels. Its aspect ratio is 18.7: 9. Screen-to-body ratio is given 81.5 percent. It is equipped with 2.2 GHz Qualcomm Snapdragon 710 processor and 4/6 GB RAM. It has 64/128 GB of internal storage which can be extended up to 400 GB via microSD card. This is an Android One smartphone. It works on Android 9 Pie. Nokia 8.1 Dual Rear Camera comes with Zeiss's lens. The primary sensor is given with 12 megapixels 1.4-micron pixels. At the same time, the secondary camera has been given 13 megapixels. The dual LED flash is given in the backside of the mobile. Its front panel has a 20-megapixel camera. To give power to Nokia 8.1, a battery of 3500 MAH has been given. For connectivity, features such as 4G VoLTE, Wi-Fi 802.11 AC, VOY4, Bluetooth 5.0, GPS / A-GPS, FM radio, 3.5mm headphone jack and USB Type-C port are provided. Hope you have liked this article, please comment down below and tell us how much you liked it.